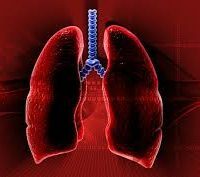 The past 15 years have witnessed an explosion of pulmonary studies designed to detect earlier and milder lung injury. Yet, by the very nature of progress, clinical experience dictates that only a few survive as useful clinical tools. For example, a variety of measurements introduced to assess small airways disease, most notably the closing volume, has all but disappeared from our armamentarium. Where in this parade of pulmonary studies marches the measurement called the partial expiratory flow-volume (PEFV) curve, first brought to attention by Bouhuys and colleagues in 1969?